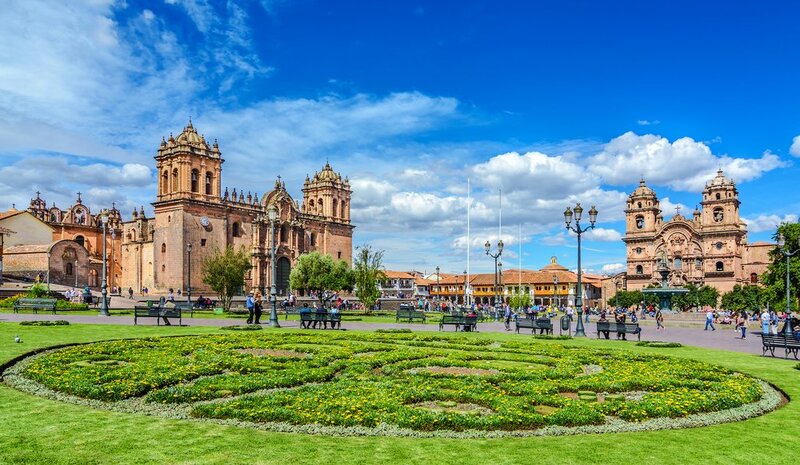 Cusco, the capital of the Peruvian Andes and the historic center of the Inca Empire, is the base for magical adventures in the nearby Sacred Valley and at the celebrated Incan ruins of Machu Picchu. But it's also a great destination in its own right, even if you only have one day to explore the city. 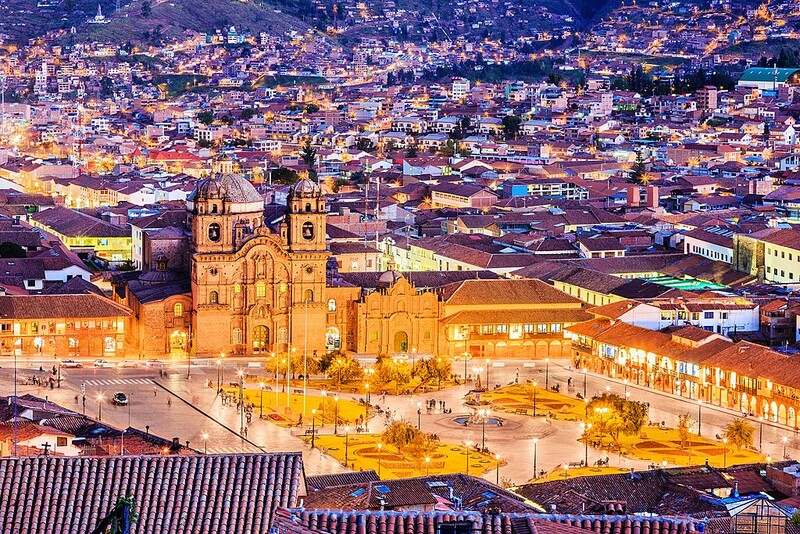 A mix of Incan and colonial architecture, from ancient temples and historic sites to exquisite cathedrals and churches, make Cusco particularly fascinating to explore. First, a few notes on the logistics of visiting Cusco. For those accustomed to other destinations in the Andes, the city will seem huge. This is not so much because of its size — the area frequented by foreign visitors is still relatively small — but because of the steep, narrow cobblestone streets. Walking around at an altitude of 10,800 feet can be both breath-sapping and time-consuming. The array of attractions and the volume of tourists on such narrow streets also makes sightseeing a little bit slower. But Cusco's layout possesses many more advantages than disadvantages for travelers. A few blocks away from the central Plaza de Armas square, the crowds begin to fade. 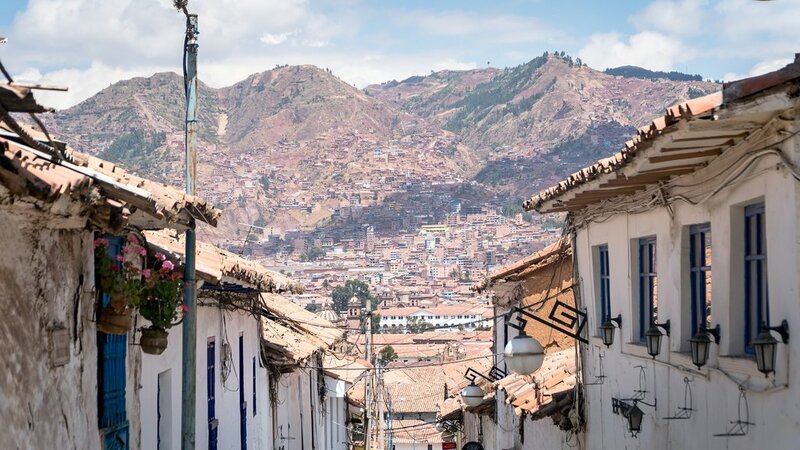 Away from so many people, you can lose yourself on photogenic, history-laced alleyways that have changed relatively little since Inca king Manco Capac purportedly founded the city eight hundred years ago. Rise early, because you have just the one day to explore — and the light (and lack of crowds) on the streets at this time make for particularly good photography. Chances are, your hotel will offer you a basic breakfast of coffee and bread or fruit. 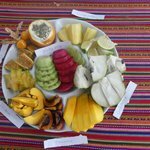 Eat light to save room for later in the morning when Cusco's wonderful cafés open. The upper neighborhoods of the city and the labyrinth of streets around them are lovely in the early-morning sunshine: try Plaza San Blas or Plazoleta Nazarenas. Take in the Incan architecture and the pretty colonial churches, as well as the locals colorfully going about their business. Around 8:30 am, descend to one of the cafés near Plaza San Blas for breakfast. Jack's Café and the Meeting Place rustle cater more to foreign visitors whilst the city stalwart of La Quinta Eulalia is great for more typical Peruvian food. The Plaza de Armas, the principle square of Cusco, is the most popular attraction in central Cusco for a reason. 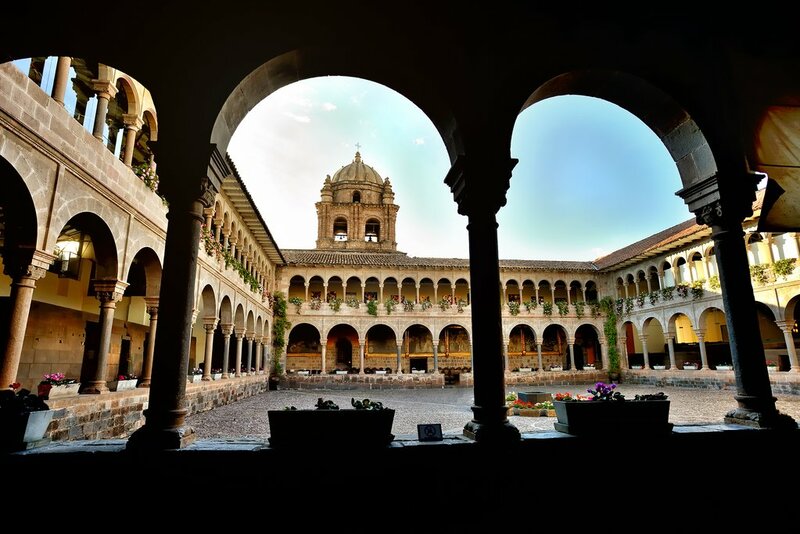 Once the hub of the entire Inca Empire, it's flanked by stunning Spanish colonial architecture. After a wander around, head inside the most impressive building, the cathedral. The religious colonial art on display in the cathedral includes some outstanding works by the famous escuela cusqueña (Cusco school of art) such as the Quechua interpretation of The Last Supper. Keep your eyes open for details: a local specialty, roast guinea pig, is part of the feast in this particular version. Museo Inka also has many displays of Incan artifacts, including the ceremonial drinking vessels known as queros, plus lots of pottery and weapons. The Templo y Convento de La Merced, a gorgeous church and monastery with cloisters, is half a block southwest of the plaza. Save some time for a walk through the Museo de la Coca, with an informative overview of the significance of coca leaves in Peruvian and South American culture. 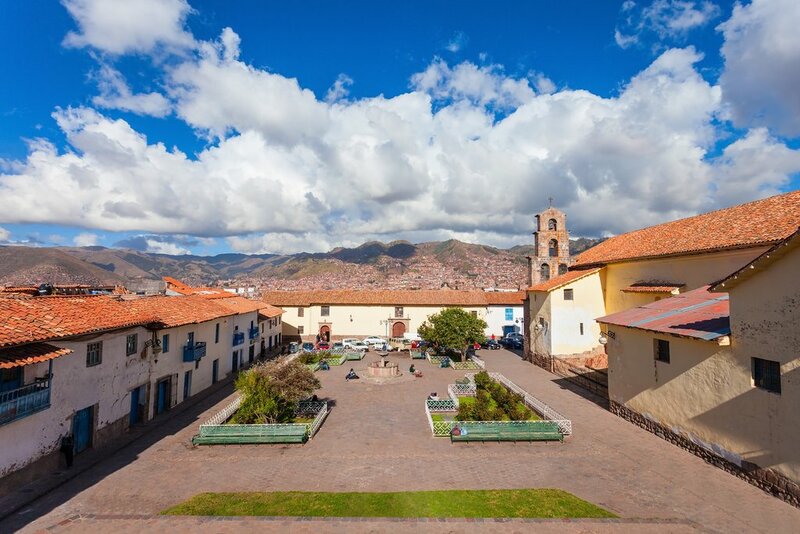 Click here for more on the best things to do in Cusco, and consider staying an extra day or two to do them. There are plenty of good expensive eateries for lunch on the Plaza de Armas, such as Limo, specializing in Peruvian-Asian fusion. And there are plenty of good budget-friendly options on Plateros, the street off the northern side, such as Cafe Morena, serving contemporary Peruvian. After lunch, stroll down Avenida del Sol to the most spectacular Incan ruin in town, Qorikancha. Allow over an hour to explore this site, once the most important Incan temple in the land. You'll see superb examples of Incan building methods — exemplified in huge blocks of stone that fit seamlessly together — are on display. The ruins form the base of the church and convent Iglesia de Santo Domingo. Qorikancha is a thought-provoking place: it was once covered top to bottom in layers of gold and silver, and was a site of ritual sacrifices as well as an observatory. Its checkered history is explained in detail in the museum. Right next to Qorikancha is the Center for Traditional Textiles of Cusco, one of the city's best places for buying authentic souvenirs and weavings. 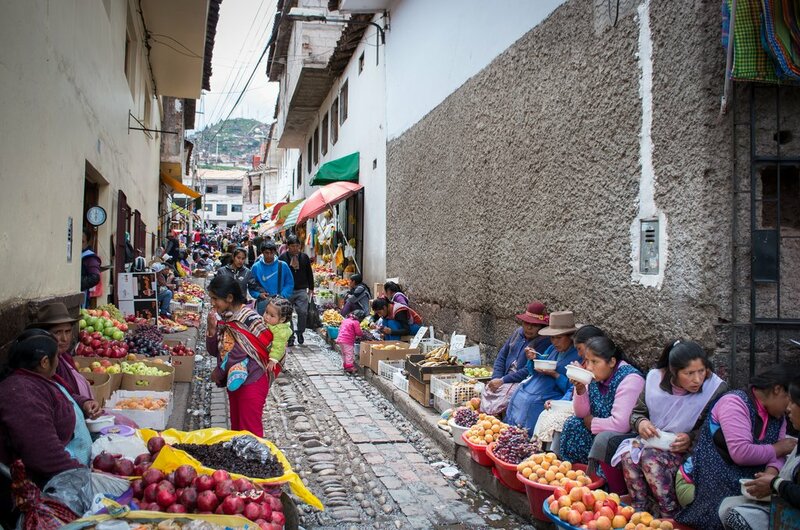 For the most authentic market in Cusco, you could stop into Mercado San Pedro (between Calles Tupac Amaru & Cascaparo) four blocks west of the top end of Avenida del Sol. It's also the perfect spot for a typical Peruvian snack or a sampling of street food. After Qorikancha, consider visiting more Incan ruins. There are four within an easy walk of Cusco and the nearest, Sacsayhuamán, is only one mile from the Plaza de Armas. The walk, through some of Cusco's upper neighborhoods, is also interesting, with lots of local color. (If you're pressed for time, take a taxi.) The vast site was been important for many hundreds of years, originally regarded by the Inca as the head of a sacred puma, with Cusco as the body of the beast — hence the zigzag walls at the site, thought to represent teeth. The site hosts the Inca festival of the sun, Inti Raymi, celebrated here each summer solstice. For more on the best Incan ruins in Peru apart from Machu Picchu, check out this article. Towns and cities in the Andes are not generally memorable for their nightlife. But Cusco is one of the few exceptions. The bar scene is a lively mix of numerous vacationers, expats, and locals, and the sheer variety of places to go out — almost all housed in atmospheric colonial buildings — is phenomenal. Try a pisco sour, Peru's most famous cocktail, at the Museo del Pisco, a museum and bar dedicated to the national spirit. The venue also serves tasty food such as tapas, burgers, and piqueos (light bites) like lomo saltado, or beef sautéed in pisco. For a classy take on traditional Peruvian food at reasonable prices, try the famed Peruvian chef Gaston Acurio's Chicha. Then graduate to classical music venue Ukuku's, across the other side of the Plaza de Armas. Rock, salsa, hip-hop, and more drinks: everything to round off the night, and your perfect day in Cusco, in lively style.